As Gridiron celebrates its own ‘second coming’ in the shape of a new website, we open the archive to recall, somewhat appropriately, the subject of the magazine’s first-ever cover story… the man they called ‘Purple Jesus’. On Christmas Eve 2011, the Minnesota Vikings were playing the Washington Redskins on the road and trying to get through the final two games of a difficult campaign. While the Vikings eventually recorded their third and final victory of the season, they could not have felt any lower when boarding their charter plane bound for Minneapolis. It most certainly was not, even though Leslie Frazier’s men had fought and scratched their way to a 33-26 victory. The reason for the malaise was the fact that one rather significant seat remained empty on the airplane. The Vikings were heading home for Christmas while their superstar running back, Adrian Peterson, was spending the first of several nights – including New Year’s Eve – in a Washington, D.C. hospital. On the opening drive of the third quarter, Peterson embarked upon what seemed like a routine run through the line and was felled as the helmet of Redskins safety DeJon Gomes slammed into his left knee, turning his leg at a frighteningly gruesome angle. Three distinct and disturbing popping sounds were heard, according to players on the field at the time. As Peterson was helped off and carted into the locker room, Vikings and NFL fans feared the worst and were right to be concerned. The league’s best running back had torn his ACL and shredded his MCL. Naturally, some wondered if Peterson would ever be able to return to full strength. How would a player who exuded speed, power and the ability to cut on a dime fare on one severely damaged leg? There were even those who were worried enough to suggest that Peterson might not come back at all. Pundits and supporters alike should not have worried. A little more than eight months after suffering such a serious and potentially devastating injury, the man rightly dubbed ‘Purple Jesus’ was starting on opening day in a season that will go down as one of the greatest in NFL history. Peterson blew all that “he won’t be fully healthy until his second season back” talk out of the water, rushing for 2,097 yards and 12 touchdowns on 348 carries. ‘All Day’ produced one amazing run after the other and seriously threatened Eric Dickerson’s single-season rushing mark of 2,105 yards set in 1984. He simply dazzled with a heady mix of speed, power and athletic grace. In short, he was unstoppable. In an era of the forward pass – and given the extent of Peterson’s injury suffered at the end of the previous season – it was a remarkable feat that gave the perennial Pro Bowler considerable satisfaction, particularly as it came during a year in which the Vikings were able to show vast improvement and return to the playoffs with a 10-6 record. Legendary Cleveland Browns running back Jim Brown called Peterson’s return “a miracle” and others were lining up to laud AP’s “neuro-muscular genius”. Some labelled the Texas native “a freak” but most definitely in a good way. So was his performance made all the sweeter given the nature of his knee injury? 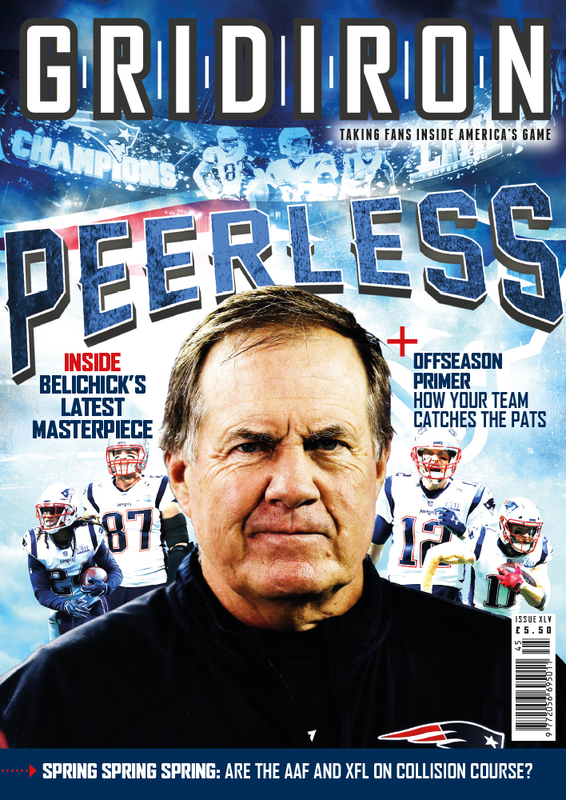 “I would be lying if I told you otherwise,” Peterson admitted to Gridiron magazine. “Coming back from the injury added a little more to what I was able to do in 2012. After going under the knife of renowned orthopaedic surgeon Dr. James Andrews – who also oversaw the rehabilitation of Robert Griffin III this year – Peterson attacked his recuperation with a frenzy. He had no intention of missing any of the 2012 regular season and was in the line-up for a Week 1 win over the Jacksonville Jaguars. Before he could start putting his body through the mincer, though, Peterson had to get his mind right. And he approached his comeback with the correct attitude. Peterson, who is now preparing to embark upon the seventh season of what could very well turn out to be a Hall of Fame career, worked like a trojan in the months leading up to the 2012 campaign. As soon as the doctors gave him the necessary clearance to do so, Peterson spent hundreds of hours punishing his body in the gym, sprinting up and down a steep hill that banks one side of the field at the Vikings’ Winter Park practice facility and running stadium steps. He even took a dip in the pool with nothing more than a little rubber duck to keep him company. While demonstrating the plethora of equipment at the disposal of Vikings players, Sugarman showed me the hydro-therapy pool earlier this season. It was a place where Peterson did a great deal of vital work returning to full fitness. Even though an all-time great like former San Francisco 49ers wide receiver Jerry Rice had warned that accelerating recovery from a shredded knee could – as happened to him – result in a cracked kneecap, Peterson drove himself forward and succeeded in being ready for opening day. But do not be fooled into thinking it was the medical equivalent of a walk in the park. Despite such impressive physical displays, Peterson insists the battle was won inside his head and not in every Herculean muscle in his body. “I would say it’s more of a mental struggle than a physical one because I feel like your body can do so much but the mind can hold it back,” admitted the man with 8,849 rushing yards to his name. “So this was a challenge for me. I’ve always been a hard worker, dedicated and pushing myself by saying, ‘Hey, there’s somebody else out there who’s working hard, too’. Are you going to be able to say, ‘You out-worked this person’ or ‘No one out-worked me today’. Those words may be easy to say, yet the actions themselves are not so simple. Peterson was called upon to show tremendous resilience and courage in returning to become the eventual Most Valuable Player of the 2012 campaign. And with Peterson now back to full strength and heading to Wembley in 2013 to take on the Pittsburgh Steelers on Sunday September 29, conversations can resume about whether he is an all-time great and not just the best of his era. Vikings head coach Frazier is happy to lead such discussions and he concluded: “I played with a guy in Chicago who many consider to be the greatest of all time in Walter Payton. But to be around Adrian and to see what he has accomplished and is still accomplishing, that is special.